I am working on my 5th studio album, THE OCCULUS OCCULT 陰陽師. It will be about 13-14 tracks long, feature some new artists, and will be available in a deluxe edition case, with artwork and a lyric book inside bundled with the Physical CD. It's been a long time coming, but this album should shape up to finally pave the way for a huge project I am working on to coincide with the album. THE OCCULUS OCCULT 陰陽師 Tour. This is a huge, HUGE step in a direction I've been trying to move towards. This means that sometime in 2017, if things work out correctly and I am funded properly, I can finally make my debut tour in the US. Won't be able to make it to european countries anytime soon (I'm still relatively unknown here in the states), BUT this US tour COULD give me the push I need with publicity to really jump start my career as a musician. Only time will tell if I can be funded enough, and if people hear about it and find me. It's a huge world out there, but I am hoping to make it. Also, at each of my shows, I am trying to come up with some interesting merch to sell to you all. I purchased a Square Reader, so that should help me with physical sales when people don't have cash on them. I would highly recommend getting one if you are a small time musician like me! Well, that's all for now. I will keep you all updated as soon as I can get enough momentum on this project. 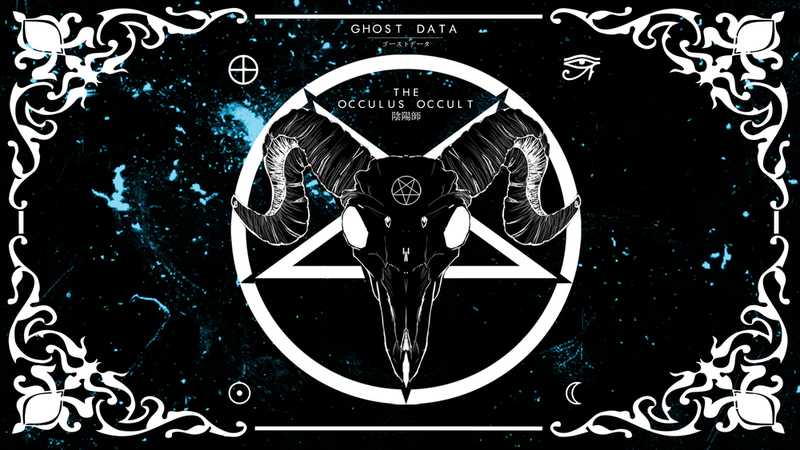 THE OCCULUS OCCULT 陰陽師 is the future of GHOST DATA, and I hope to see you in the passenger seat of this journey I am about to take!